Got mine last week. Cheapest way to get a phone number (thats not a crappy i phone) and the fastest speed for data. I was on aeon C. The data transfer clocks in at about 100Kb sec according to the speedtest.net site. Not sure it is actually quicker than the aeon service but it feels snappier. Thanks for the writeup sbs. Are any of b-mobiles plan able to do SMS/MMS? I was going to use a prepaid phone for occasional voice and unlimited text/email, but it would be convenient to use this new option and have it all together. 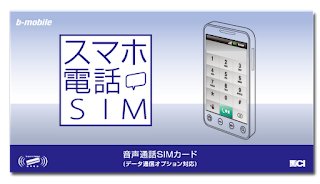 The voice SIMs can do SMS for 3 yen + tax each. Sending international SMS is 50 yen. Data-only SIMs cannot do SMS. MMS is not an option. Thanks for your reply. And if I am not mistaken SMS are only able to be sent to phones that are on the same network? I think I may stay with my original plan of using a prepaid for voice and unlimited SMS/email and use a separate device for data only. No, you can send to any carrier in Japan now. But I would recommend using email and the data plan. 3.15 yen per SMS is ridiculous. I'm at Yodobashi Akiba at the moment and (in what basic Japanese I can understand) won't sell me this sim card without proof of a Japanese address. I am here on a WHV with the new AR csrd. I'll be moving into an apartment soon, and I'm not sure what paper to acquire for proof of residency. Could you please advise me as to what to do? this seems like a pretty good option for me. i'll be in japan for 12 months studying, i wanna take my overseas HTC desire to avoid having to buy a new phone/a 2-year plan, basically just need a phone number where people can reach me and data to send emails, etc. is there anything else comparable to this new スマホ電話SIM? just fyi, SMS cost between 15 and 29 cents EACH in australia. so to us, 3 yen sounds like the world's best bargain. I've been (for the last year and a half or so) using a UK-based IP-SMS service that lets me set my real keitai number as the from address (so replies work transparently and at normal rates) for my outbound. ¥1.5/SMS to all countries that I text to except US at ¥3. k. got one of these, signed up for the faster 2GB data option. it's RIDICULOUSLY SLOW. it can't load youtube videos or stream anything. without this functionality, getting the 'faster' speed doesn't even mean anything. and there's no way anybody could even get near 2GB per month. also: i seem to be lucky, i didn't get the 'searching for signal' error/battery drain problem at all on my overseas HTC desire. I think the Smartphone voice sim seems the best option. It has 2GB data at Mbps speeds, which should be good enough for maps and navigation. Talking Fair would also suit if your data usage averages around 250MB a month. But given that price difference would be only around 500yen, Smartphone voice seems better deal with 2GB data in a month. To be able to fully utilize the G Nexus while in Japan, I would recommend that you should flash the Docomo radio on it when in Japan. Even if you dont, it would still work, but you would be getting the 2100 MHz signal only. However, if you flash, you would also get the 800 Mhz signal which would give you better coverage. One thing that seems to be an issue when comparing between the Fair and all of the other Mbps-class SIMs is the Fair is MUCH faster. I hear complaints about the speed - or perhaps latency of the other SIMs. The Fair is a straight pipe to Docomo, which is why the same price gets you only 250 MB. thanks for the advice, kizuki. could you point me to some info on how to flash the docomo radio? i will get the new phone next week and i want to make sure it works as well as possible. i thought i saw something in the phone settings that talks about what Mhz signal you're using, but now i'm looking around and can't find it. It's 1 GB that lasts for 4 months or until you use it up. if you use it all in one month, it is a very expensive 1 GB. If your data usage is such that you only need 250 MB or so per month, then it's a very good deal. OHHH! sorry, now i get it. so if i use up all the 1GB before the 4months are up, can i top it up or do i need to buy another 4 month deal? (if this chart is fairly accurate, i won't need more than 1GB in four months--i only know what my docomo bill says which is in packets: about 181,000 packets last month if i remember right). The radio SC04DOMLE3 seems like the latest one. However, you need to read the thread and comments from various users to understand the process of flashing the radio, and also if it will be compatible with your ROM version (most likely it should be). In any case, if you find it too complicated, dont bother and just use as is (on the 2100 Mhz band). @julia: I think 181,000 should be around 200 ~ 240 MB, if the packet definition is same between Docomo and Softbank. Lets say you need to use from Oct - Apr (7 months). So you will need at least 2 charges assuming your total usage does not exceed 2 GB. i.e. around 18,000. For the 2GB per month option, it should be around 20,500 over 7 months. Hi, thanks for the amazing blog, like others about to take the plunge on a contract with bmobile, either talking fair, smartphone or aeon. Interesting to hear you say the Fair will get me the best speeds, just as I thought I was set on the smartphone option. I'm curious, what is setup different with the fair to make it a straight pipe? as far as I can tell the android set up instructions link to same page, so is it behind the scenes? Also, has anyone have experience with the aeon sims? are they a direct pipe too? I have purchased a shiro-rom Docomo Galaxy S3 and want to use it with b-mobile. After reading through this blog I thought either the Smartphone or the Talking Fair SIM might work best for me. I don't call much, but of course I need to be able to call and send messages. I have absolutely no idea how much data I'll use as this is going to be my first smartphone. What I like better about the Smartphone SIM is that the cancel fee is lower. However somebody complained that the 2GB version (which I would purchase, I suppose) is super slow ... and of course, that's a no-go for me. On the other hand you mentioned in this post that the 1GB SIM (and thus the Talking Fair SIM?) is the same speed as the 2GB of this smartphone SIM. Are all b-mobile SIMs much slower than those of Docomo or Softbank? @bcbb14dd65c0dd96edf5a2d6a996142a:disqus thanks again for your help. so it sounds like the talking fair sim is the way to go for both speed and for my amount of data usage. i'll go to akiba this weekend and see what they've got. i get my phone on friday and i'm excited to try it out. Both Talking Fair and the Smartphone are of Mbps class speed, which is more than sufficient for what an average user would do on a smartphone. The difference is that Talking Fair is directly connected while the 2GB Smartphone goes via a proxy server (so an additional trip on the way to the internet). Theoretically, 2GB will always be slower than Talking Fair. Practically, it may or may not be noticeable. It would depend upon the ambient conditions at that time. It might be better if you try out the SIM first at Yodobashi or search for the average speeds that users are reporting on the internet. By the way, you can convert from other talking plans to the Smartphone plan, but not vice-versa. Generally, if you are doing browsing, SNS, email for an hour a day, monthly data usage should be around 200-300 MB. But it all depends on lot of specifics. This is what it is in my case. But then I have access to wi-fi for most of the day. So the only time I am using 3G data is while commuting. I live in the boonies. There is no Yodobashi nearby at all, so unfortunately this is not an option. If I understand you correctly it might be the smartest thing to gt a Talking Fair SIM first and if I notice that I need more, I can convert it to a Smartphone SIM? I do not have access to Wifi anywhere (again it's because I live in the boonies), but also never when I'm traveling. This is actually the main reason why I wanted to get a smartphone in the first place. While I don't use the phone as actualy phone very often to make calls, I do write text messages (you know that typical e-mail thingie that is so popular here in Japan). Would I be able to do that with either of the SIMs? Just signed up for this, after buying the set from Yobodashi. Thanks, that's not so bad, hopefully by the end of the week then! @zoomingjapan: Yes, you got that right. As per my suspect Nihongo, I could understand from the Smartphone FAQ that you can convert from any other voice plan to Smartphone but not vice-versa. But please confirm it once by calling b-mobile. For total data limit if you move to Smartphone, but for some reason dont like the speed compared to Fair, you will not be able to move back. If I didnt have wi-fi at any point of the day, I am assuming that I would definitely be using almost 1GB or more. Because then I would have to tether my Nexus 7 as well to my phone which would significantly increase the data usage. So you should also account for any other devices that you might want to tether due to lack of wi-fi. You will be able to do email, but not from a mobile provider email id, since bmobile does not provide one. However, you should be able to use any other email provider like gmail, yahoo etc. Pure text messages (SMS) would cost 3.15 yen message so not highly recommended for daily chit-chat use, if you are looking to optimize costs. But again, you can always use services like WhatsApp or others for internet based SMS free of charge, provided your friends also use the same. So it took a bit longer than i would of thought, just over a week, but then there was a national holiday in the way. It's now set up, and I've gotta say, i'm impressed! I heard someone complain about the speed earlier, it's perfectly fine / what i would of expected, doesn't take that long to download apps, google maps loads in reasonable time. I haven't tried any VOIP stuff on it yet, but will try that later. But I set up my android as a wifi hotspot, and was able to use that to surf the web on my ipad OK. A bit slower, but again, perfectly usable. But then, maybe my needs aren't as heavy as others. Which data plan are you using - 200kbps or 2GB flat? Can somebody please explain me the difference between the Voice S + 2GB Flat Rate plan and the Talking 1GB Flatrate plan? If I understand correctly, the first option is cheaper than the Talking 1GB Flatrate plan, but has 1GB more traffic per month? Where is the logic in that? Or what am I not seeing? @Lars: yes you are right. i) Voice S + 2GB seems to be co-branded with Amazon / Yodobashi. So maybe they are subsidizing the extra 1GB. ii) Talking 1GB Flatrate plan might have a different proxy than Vocie S. There could be difference in actual latency and speeds. Above is just speculation, so someone who is aware of both will need to confirm. so i went to akiba with my new GN from the US to test the talking fair, but they said they don't have them there; only online because of the contract. so i went home and fiddled around and decided to just skip the SIM completely and go wifi only. i got a WIMAX URoad mobile router from asahi net (my ISP) on a 4-month contract for JPY4000/month, canceled my home internet router, and bought a $20 credit on skype. so far i've used less than $2 of it, and i have a wifi forcefield around me everywhere i go! just wanted to tell y'all my happy ending. thanks for all the advice and explanations! @julia: Can you give a link to your WiMax plan. 4000/month for just a 4 month contract sounds interesting. If you need a Japan number, for both incoming and outgoing, you can also try NTT's '050 plus' service. Its a VOIP service for smartphones. Although am not sure how the rates compare with Skype. Wish I read this article before I got the sim. I bought the bmobile smartphone sim with 2GB flat rate. It's painfully slow in central Tokyo. I might as well cancel the data connection because 95% of the time it times out. My push emails occasionally download 15-3 hours after they were originally sent - and that's when it does work! And for the price I'm paying, I might as well pay a little bit more for a new iPhone 5 with Softbank or Au, even if it might be sim locked. Really disappointed with the marketing from bmobile. They shouldn't be able to get away with this just by writing "best effort". The small print should read "if you are lucky". I just had a mail, it seems they are making this plan a bit more flexible and introducing a new data tear, 1,980 yen a month for 1gb. Hello, I'll be in Japan on a student visa for a bit more than 4 months, starting mid-March. I must admit I'm a bit lost when it comes to the different SIM options. I don't speak/read Japanese well so it is difficult for me to fully understand B Mobile's website. I have an iPhone 5 so it would be easier for me to get a nano sim card right away. However I know it is pretty easy to turn a micro sim into a nano sim, so it is not criteria #1. I'd like to be able to call and use data from time to time when I'm on the go. I can see from my current subscription here in Belgium that I use max 700mb/month but I guess it would be reduced if I'm more careful (I have a max of 2GB included so I don't really pay attention). If I know I must be careful, I will only use it for emails and maps. From the very useful information provided here, if I understand well, I can see the Talking Fair would have been a good option for me (or would the Talking 1 GB Flat Rate be better? ), but there is a 1 year contract required, so I'd have to pay a cancellation fee, which makes it less interesting, right? However I'm hesitating because in the comparison table I saw 3 months contracts are available. 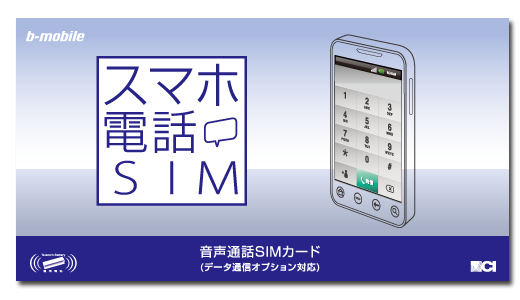 The other option is this "smartphone phone SIM". In fact I don't really see that much of a difference between the Talking 1gb and the Smartphone option... But then I'll be able to order a nano sim card directly (only through their internet store as I understand). Also, as I don't read japanese well, will it be feasible for me to order through the internet and to manage the "My B-Mobile" platform? For example, can I go directly for a 4 months subscription or do I have to register for 3 and then add a 4th month on the online platform? I have no idea how it works... Also, if I go first for the S voice plan and the U200 Data plan, can I change easily afterwards? Would anyone please explain how to register this? I don't read kanji and have had my Japanese friends try to help me but they don't know what is going on either... I emailed the English help desk but got no reply. This is really confusing.